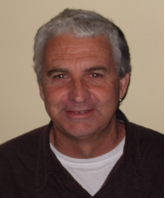 Alan works as a social policy analyst for The Salvation Army's Social Policy & Parliamentary Unit. He has now authored ten of the Nation reports for the Unit. He is a community activist in South Auckland, an administrator in local sports clubs and as a school trustee. He has held positions as a trustee of the Auckland Community Housing Trust and as the Chair of Community Housing Aotearoa.He has an academic background in town planning and economics and has been involved in Auckland local government for over 20 years both as a politician and bureaucrat. Alan was a contributor to CPAG's flagship report Our children, our choice: priorities for policy including being the author for the chapter on Housing.